This entry was posted in Blog, Latest Updates on February 1, 2019 by Matt Miller. 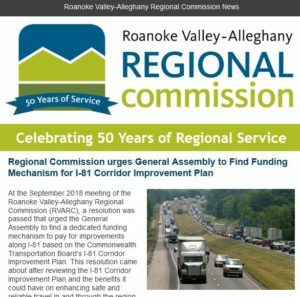 The Roanoke Valley-Alleghany Regional Commission has released the September Newsletter. Below are the topics covered. This entry was posted in Blog, Latest Updates on September 28, 2018 by Tim Pohlad-Thomas. Our June 2018 Newsletter is now available. Subscribe to our monthly newsletters here. This entry was posted in Blog, Latest Updates on July 26, 2018 by Matt Miller. 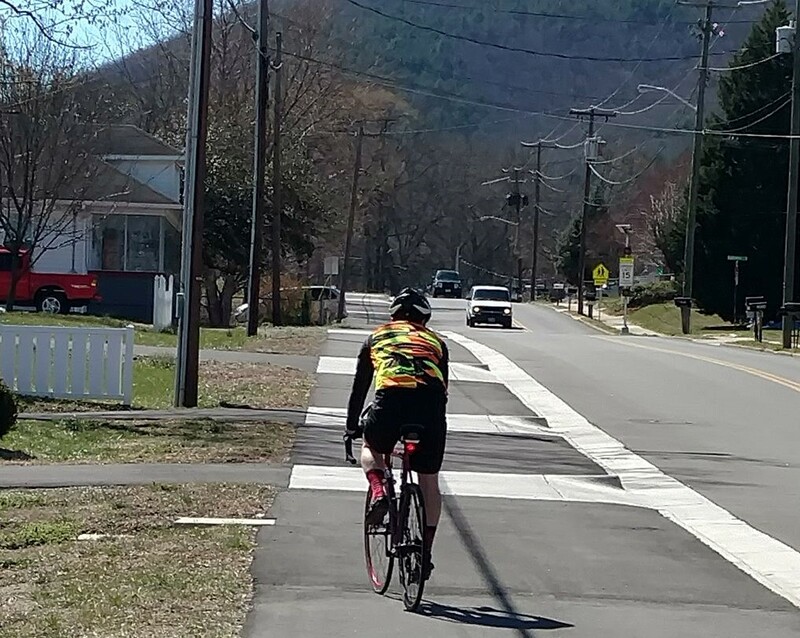 The Roanoke Valley Transportation Planning Organization (RVTPO) adopted a Public Participation Plan on February 22, 2018, replacing the 2007 Public Participation Plan. The purpose of public participation is to support transportation planning and promote the integrity and transparency of the transportation planning process. Meaningful to the public – People should feel that their comments matter. Public input into a transportation plan should be timely, happen early enough to influence the outcome, and continue as the plan develops. The RVTPO is accountable to the public for their input. RVTPO Policy Board decisions reflect the diversity of viewpoints. High quality – When people understand that transportation planning is complex, regional, and long-term, they can give input that is relevant, thoughtful, and practical. The RVTPO educates and explains transportation planning. Clarity of purpose and clarity of expectation improve the quality of public input. Variety of input – The RVTPO seeks a breadth of representation in public input that is from different points of view, different needs, and different backgrounds. High quantity – The more people who are engaged, the better the RVTPO can understand the transportation needs and priorities of the region. The RVTPO will provide convenient and delightful ways to participate with many options of how to participate, and continue to seek new ways to invite participation. The Roanoke Valley Transportation Planning Organization (RVTPO) fully complies with Title VI of the Civil Rights Act of 1964 and related statutes and regulations in all programs and activities. The RVTPO also complies with ADA requirements. For more information about Title VI and ADA compliance, click here. This entry was posted in Blog, Transportation, Latest Updates and tagged public participation on February 26, 2018 by Rachel Ruhlen. Choosing the right online survey tool is one of several critical aspects to a successful survey. RVARC staff researched other cities, states, and MPOs to learn which survey tools other agencies are using and for what purposes. RVARC staff considered several factors in evaluating online survey tools. Online survey tools generally have standard options such as multiple choice, select all that apply, short answer, and long answer. Some survey tools allow image-based questions or skip-logic depending on how the respondent answers a question. Some create mobile-friendly surveys or surveys that can be embedded in a website. Some survey tools limit the survey to a single page. An integrated map tool is an essential feature for transportation-related surveys. SurveyMonkey is a standard among many agencies, and inexpensive. The RVARC has subscribed to SurveyMonkey for years. Google Forms is a free option that is easy to use and integrate into a website or email. MetroQuest surveys can get thousands of responses. MetroQuest specializes in public input for planning. MetroQuest developed a survey tool with the philosophy that public input should be a delightful experience. Taking a MetroQuest survey is like playing a video game. 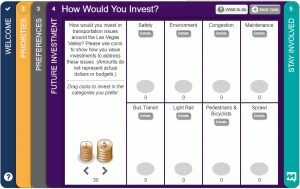 Respondents drop virtual coins into different buckets representing road maintenance, transit, or sidewalks. They drag topics to the top of a list to indicate their priorities. They experiment with scenarios to modulate trade-offs among their priorities. They move pointers around on a map. 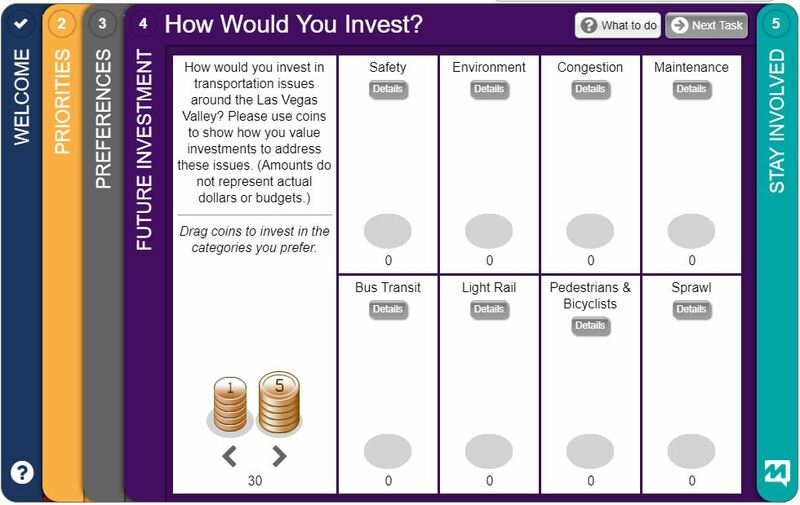 MetroQuest is an excellent, though costly, survey tool. Other survey tools that could be used for public input include PublicInput.com, Snap Surveys, Survey Act, Survey Gizmo, and SoGoSurvey. Tools for interactive forum discussions on individual projects include Mind Mixer, Peak Democracy, and Bang the Table. You may see some of these tools employed in the next Long-Range Transportation Plan update. This entry was posted in Blog, Transportation, Latest Updates and tagged Public Involvement, public participation on January 29, 2018 by Rachel Ruhlen. The Regional Commission Bike Room recently got a facelift. A cleanup and a little paint transformed it from a dank and scary closet into a bright and spacious room. 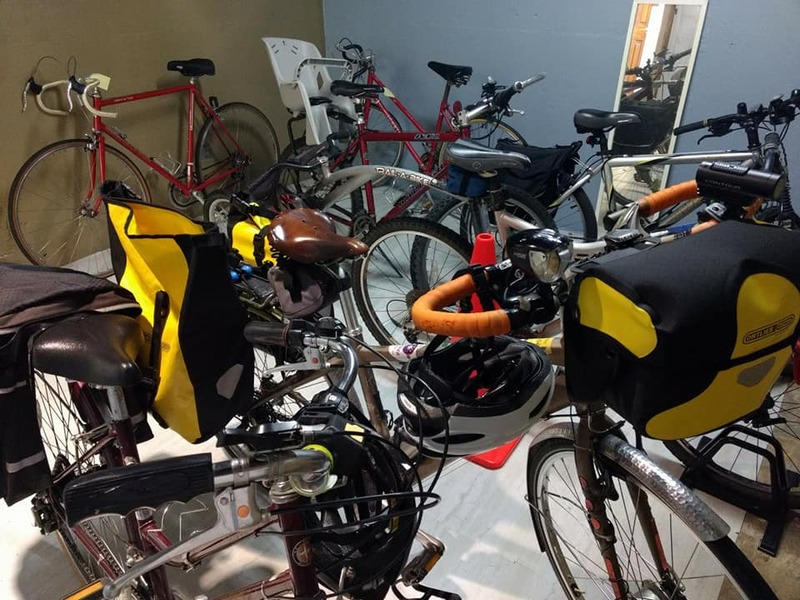 The six (of thirteen) employees who sometimes bike celebrated the improved Bike Room by all biking on the same day! 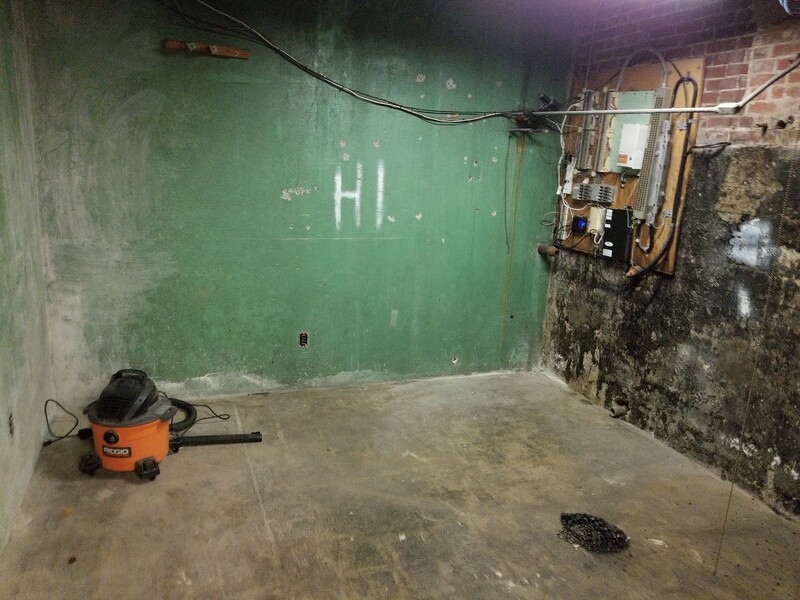 Before the renovation, this would have been a problem– the Bike Room didn’t hold six bicycles. Before work began, the bike room shared space with janitorial and other supplies. 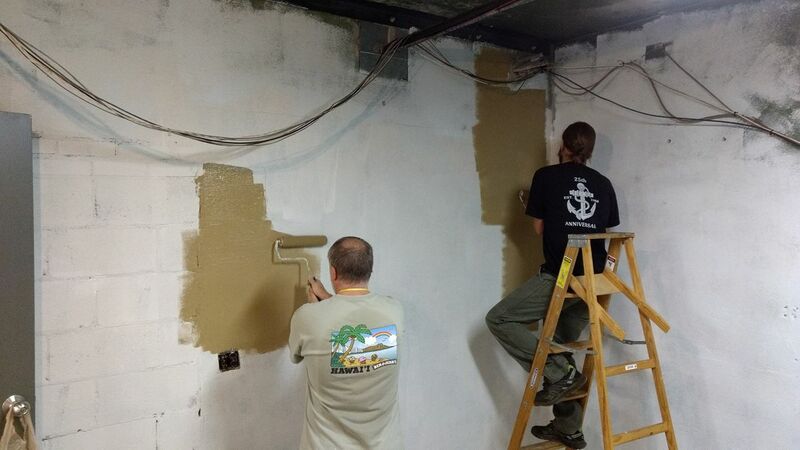 RIDE Solutions staff Tim and Jeremy painted and laid tile. Renovation cost: $0! They selected paint and tiles from what they had on hand. The maximum capacity before renovation was 4 bikes. The capacity after is 6 bikes and room to spare! 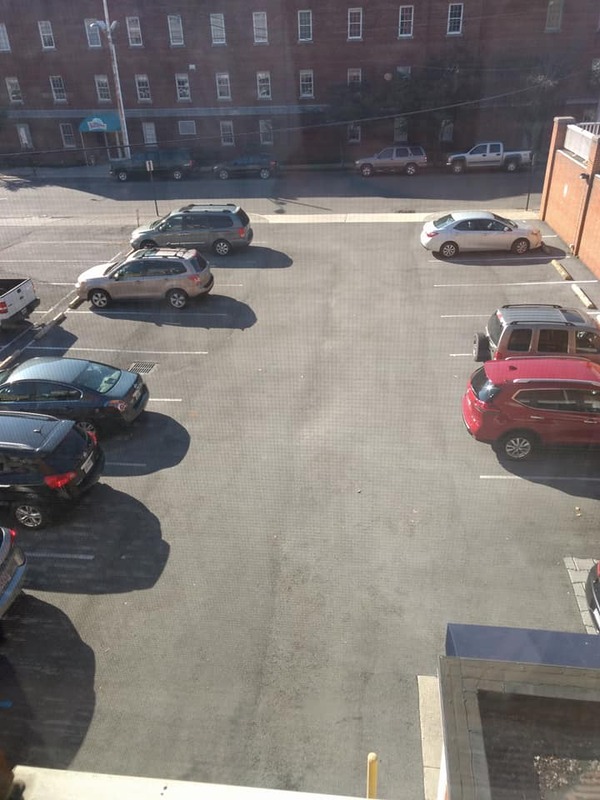 The parking lot is normally full, unless we’re all at a meeting. Today is was empty– but we were all here! This entry was posted in Blog, Latest Updates on October 13, 2017 by Rachel Ruhlen. This comment was a response to a survey question about long range transportation planning. The Northwest WIC clinic is at the First Church of the Brethren on Carroll Ave NW on top of the ridge. The nearest bus stop is only a quarter-mile away, but no one wants to push a stroller up that steep and treeless climb. Betty at the WIC clinic gets off the bus four blocks away to avoid the arduous hill. The WIC clinic sees fewer clients than expected because of the hill. Mothers arrive hot and sweaty and asking for water. Does your long-range transportation vision include easy access to the WIC office for everyone? How would you solve this problem? What other problems would your solutions introduce? Over the past decades, the region and the nation has done an excellent job of making it easy for most people to get anywhere. 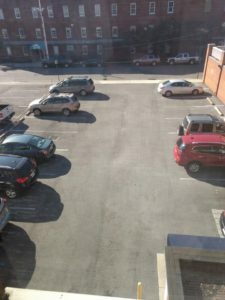 The Roanoke Valley has lots of cars, lots of roads, and lots of parking places. Roanoke’s collective mobility is better than ever. In making it so easy for most people to get everywhere, it’s become very difficult for some people to get anywhere. 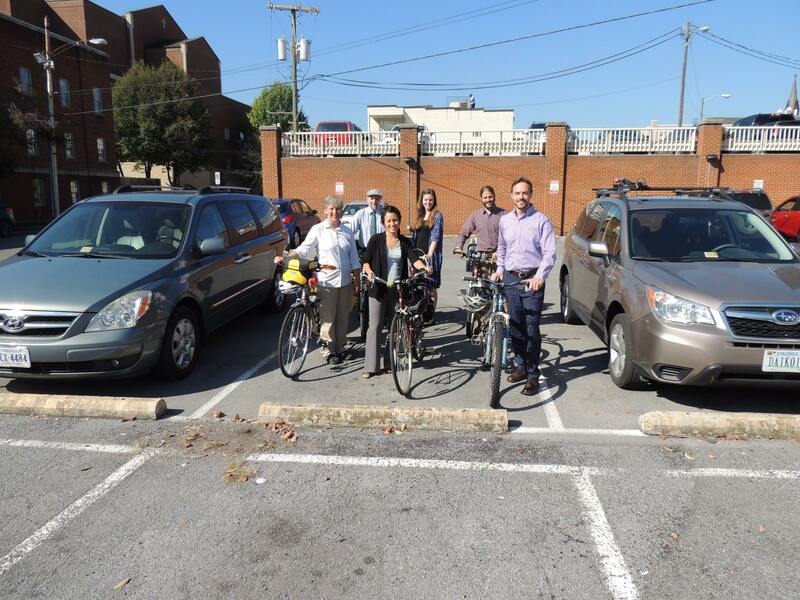 Over 13% of the Roanoke City households don’t have a car, but nearly all destinations can only be accessed by a car. More than 1 in every 10 people are virtually excluded from daily life: having a job, shopping, visiting the doctor, or going to church, just so that the other 9 of us can do all these things so easily. This situation has been decades in the making, and will not change overnight. The long-range transportation plan, updated every 5 years, is about getting the balance right, keeping it easy for most people to get most places without putting a great transportation burden on the most disadvantaged. This entry was posted in Blog, Transportation, Latest Updates on July 28, 2017 by Rachel Ruhlen. The first time I saw the Garden City Greenway I stopped and stared. It is one of the most unusual multiuse trails I’ve ever seen. The alternating white concrete and black asphalt brings to mind a chess board. I thought the contrast was to draw attention to the many driveways that cross the greenway. I invited Priscilla Cygielnik to chat about the unusual greenway she designed with the Pedestrian & Bicycle Advisory Committee. The Garden City Greenway was initiated through a Safe Routes to School grant and completed with local and state revenue sharing funds. Therefore, its purpose is to provide a way for kids to walk and bike to school. Priscilla had many constraints when designing the trail. It was built as much as possible within the existing right-of-way of the Garden City Blvd. That makes it different from most greenways, which do not follow a road. Most greenways in Roanoke follow waterways: the Roanoke River Greenway, the Tinker Creek Greenway, and the Lick Run Greenway. To keep it within the right-of-way of the road, it is mostly 8 feet wide, which is the minimum width for a two-way multiuse path. Bicyclists are more comfortable with 10 or 12 feet. For context, modern sidewalks are 5 feet, and most roads are at least 28 feet. The narrowness and its location within the road’s right-of-way make it feel more like a glorified sidewalk than a bike path. But don’t take that as a criticism. Keep in mind the purpose of providing a way for kids to walk and bike to school. It serves that function very well. Other greenways have a more recreational purpose. The Garden City Greenway is not a great recreational greenway. Even keeping it as much as possible within the road’s right-of-way, they still had to acquire some additional right-of-way. Acquiring right-of-way is the greatest expense and obstacle of most trails. In the original design, a portion of the greenway fronting one property would shrink to 5 feet because the landowner absolutely refused to sell or give up any land. However, during construction he approved of the improvements being made and agreed to sell the additional 3 feet necessary to make the improvement in front of his property. Priscilla pointed out the driveway improvements have to do with the steep slopes downhill of the existing road. To be able to navigate a vehicle in and out of a driveway, the entrances were specially designed to ensure proper drainage but reduce the pitch typical of standard entrances. Luckily, it was pouring rain as we walked, so we could see the drainage improvements in action. Another landowner, this one a business, strongly opposed the project. He conceded the right-of-way needed but negotiated for having his parking lot repaved. But after the greenway was built, he called Priscilla. “I didn’t think this greenway was any good,” he told her, “but it turned out really nice.” He has new customers who walk and bike to his store. The greatest weakness of this project, in my opinion, is the number of driveways that cross the greenway. 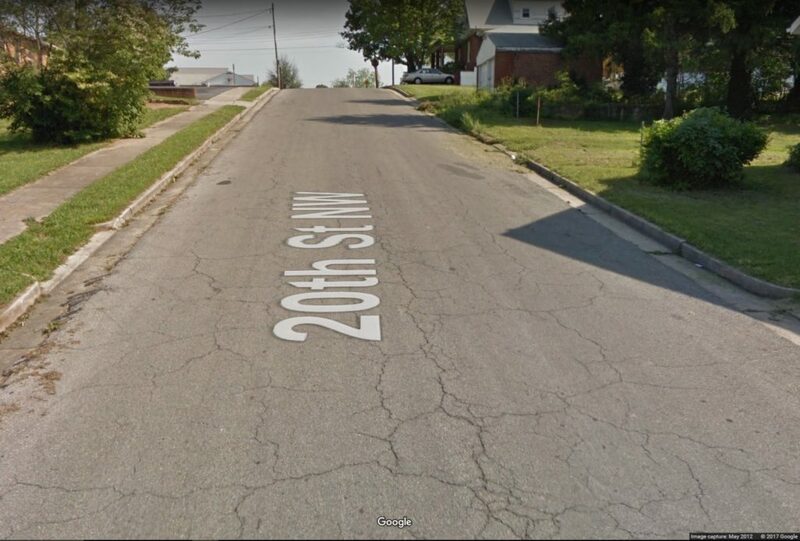 I’ve heard more than one kid describe an experience someone backing out of their driveway hit the kid walking, biking, or roller skating down the sidewalk. Regardless of whose fault you think that is, we can reduce these incidents by reducing the potential conflicts. Priscilla said the contrasting concrete & asphalt that caught my eye was coincidence, but it is does draw attention to the driveways. The location of the school on a busy road with lots of driveways was a decision made long ago when engineers, developers, and planners were only building for cars. Retrofitting our autocentric world to accommodate other types of travel is a long and expensive process. Many projects, like the Garden City Greenway, will just have to do the best they can, fixing the problems we can fix and living with the problems we can’t fix yet. This entry was posted in Blog, Latest Updates and tagged Transportation, Garden City Greenway, greenway, bicycling on May 31, 2017 by Rachel Ruhlen. 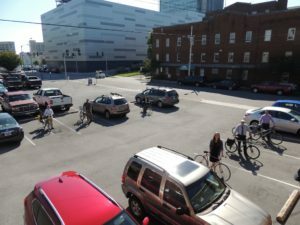 Roanoke’s new bike share debuted May 24th with a kickoff ceremony at Norfolk Southern Plaza, made possible by RIDE Solutions, Zagster, and a host of generous sponsors. The bike share program bolsters Roanoke’s overall transportation network, solves for last-mile trips, and makes Roanoke a healthier, more sustainable, and more bike-friendly community. 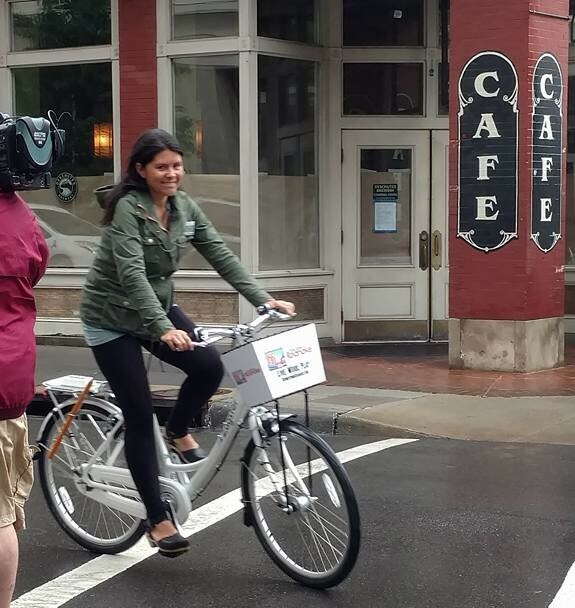 Zagster spokesperson Keli Hoyt-Rupert said their users in other cities cite bike share as making possible access to parks and recreation opportunities they didn’t have previously. Bike sharing, long considered exclusively a big-city amenity, is now possible in smaller communities thanks to a novel model pioneered by Zagster. Unlike big-city systems, in which riders must drop off bikes at designated stations for every stop, the built-in lock on every Zagster bike gives users the freedom to ride as long as they want, wherever they want. This hybrid model, which blends dockless locking for mid-trip stops with fixed station locations for beginning and ending rides, allows users to plan their trips around their destinations – and not around station locations. As a result, the bike share promises to not only ease commutes, but to also unlock vast recreational opportunities for exercise and fun. This entry was posted in Blog, Latest Updates on May 24, 2017 by Rachel Ruhlen. In January, the U.S. Economic Development Administration designated the Roanoke Valley-Alleghany region an Economic Development District (EDD). This designation enhances our ability to obtain grants from EDA. A key function of EDDs is to develop, maintain and assist in implementing a regional Comprehensive Economic Development Strategy (CEDS) and support local governments in short-term planning activities. The EDD area will be comprised of the counties of Alleghany, Botetourt, Craig, and Roanoke; and the cities of Covington, Roanoke and Salem. See the coverage on WSLS TV-10. This entry was posted in Blog, Latest Updates on February 24, 2017 by Matt Miller.